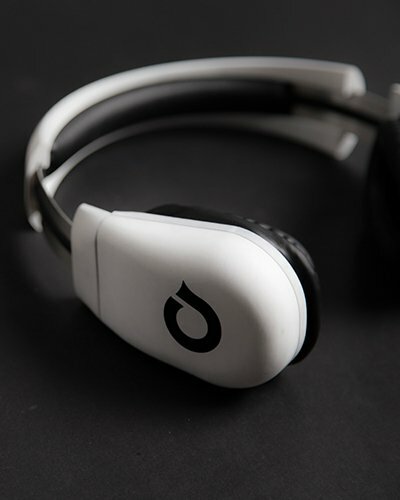 Remio is a wearable device for music lovers, empowering them to create music through tangible interaction. 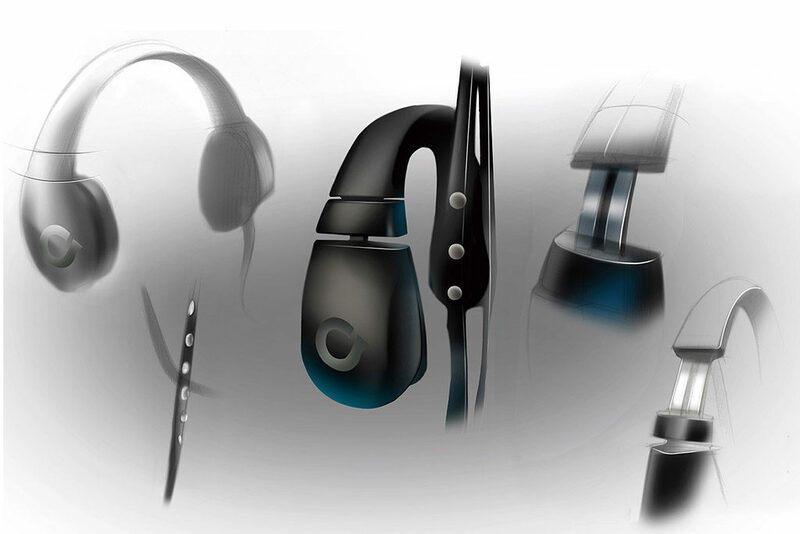 Different sensors such as touch sensor, pressure sensor, and acceleration sensor, are embedded in the device. 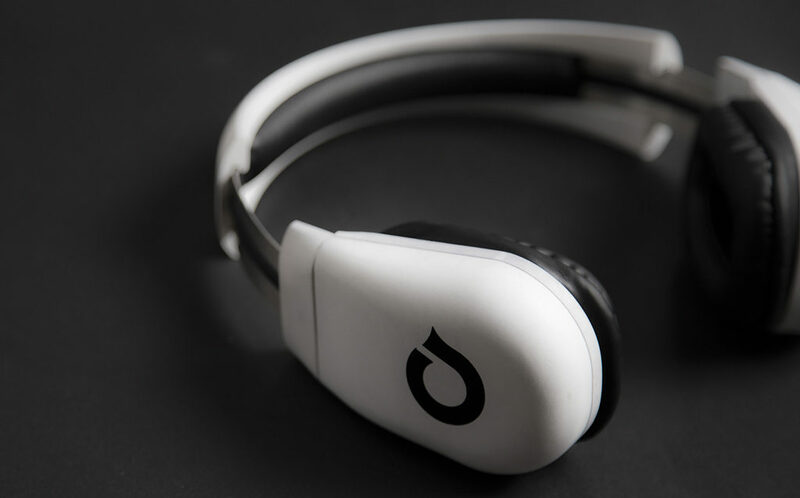 Thus users are able to listen to and create music by interacting with the device naturally. 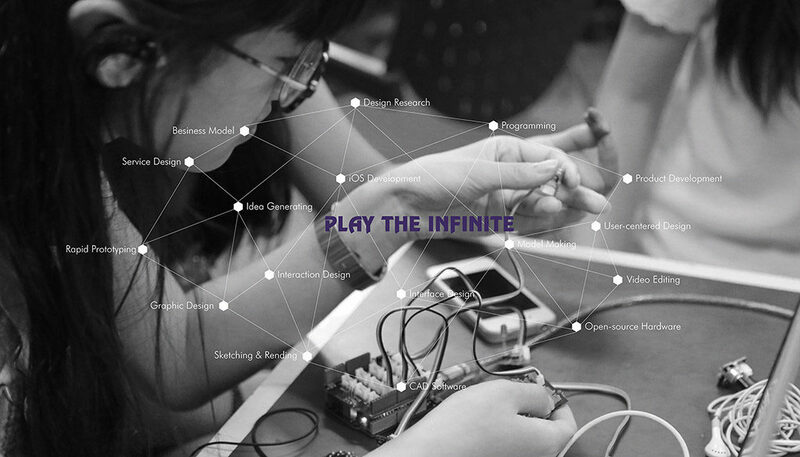 The design examines tangible, embedded, and embodied interaction in the context of music and emerging technologies. 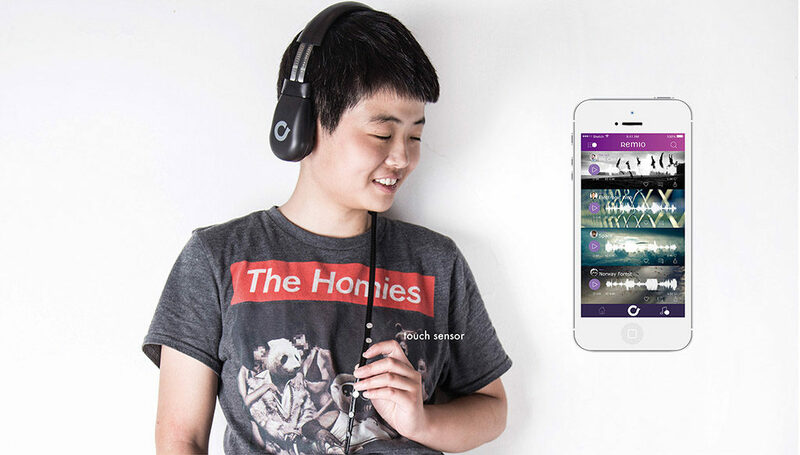 Using the mobile app, users can edit the music they generate, as well as share it with others. I adopted an iterative process, which involved user research, ideation, model making, prototyping, user testing, and the implementation of the final product. The starting point of the research was to investigate the wearable device trend in China to gain insights into the potential user group. Following this, I studied the lifestyle of target users and conducted user observations and interviews to analyze the needs of potential users. 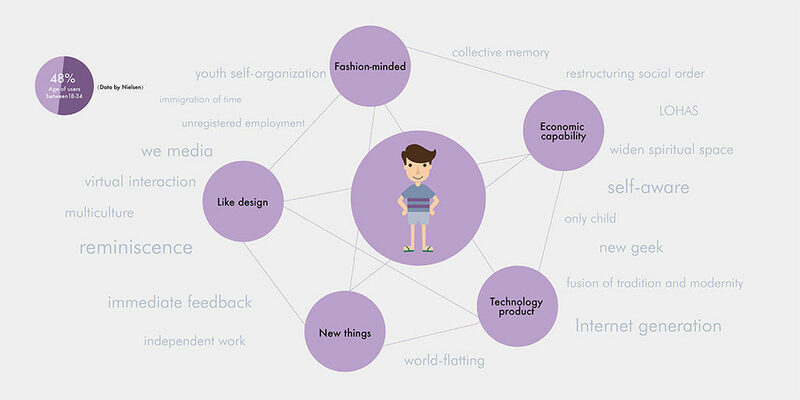 The user research showed that the target users are interested in personalized wearable products which can be used in diverse scenarios. They are also into sharing and creating online, which give them a sense of participation and connection. 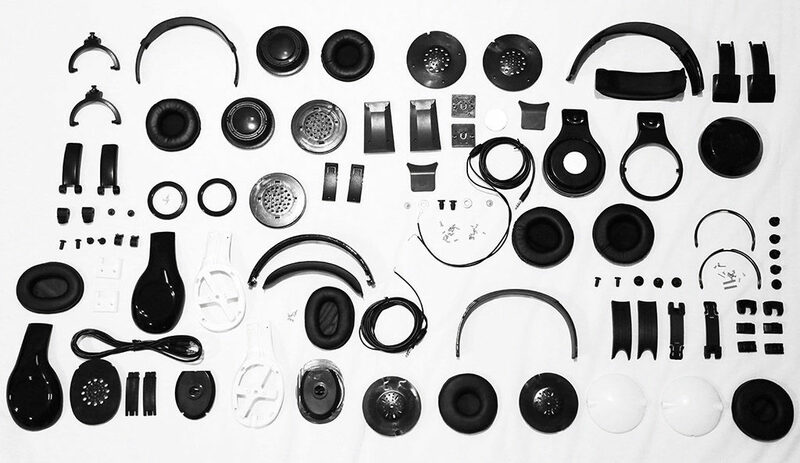 Informed by the research, the design goal was established: to create a hybrid wearable product that is interactive and playful, which allows users to listen and play music anytime and anywhere. To design a unique way of interaction, I examined the gestures used in music playing, which play an important role in expressing emotions. I utilized rapid-prototyping to test initial ideas. Then I made sketches to explore the form factor of the product. 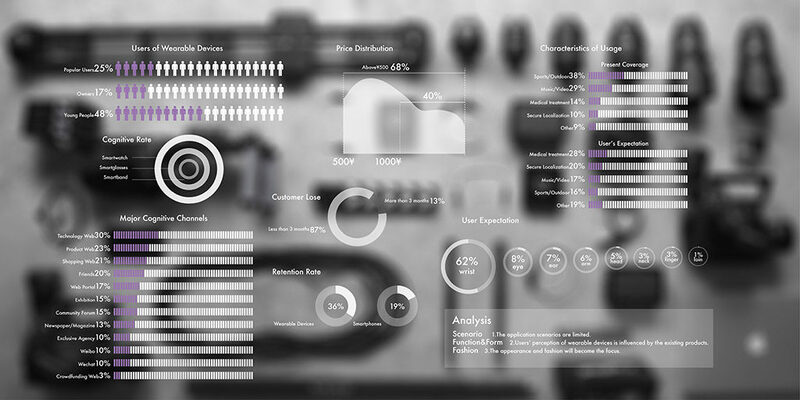 To make the experience seamless, I built the information architecture and lo-fi interfaces for the mobile application. The making process included the investigation of mechanical structure design, material and finishing research, 3D modeling and printing etc. 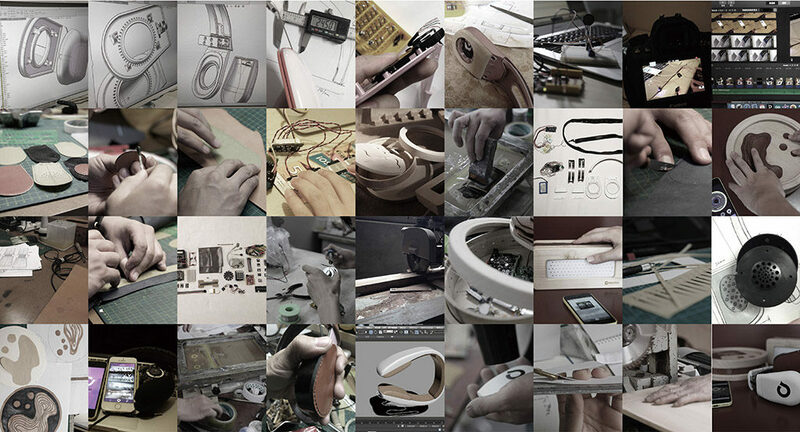 The interface design focused on seamless user experience.